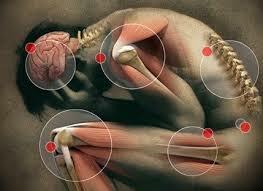 Pain is a frequent symptom in patients with cancer, and it has a marked impact on quality of life. Despite the availability of opioids and updated guidelines from reliable leading societies, the problem of undertreatment persists. A year 2014 systematic review concluded that between 2008 and 2013, there was a decrease in undertreatment of approximately 25 percent (from 43 to 32 percent), but that, across multiple countries, approximately one-third of patients with cancer-related pain still do not receive pain medication proportional to their pain intensity. Quality of Cancer Pain Management: An Update of a Systematic Review of Undertreatment of Patients With Cancer. J Clin Oncol. 2014 Dec;32(36):4149-4154. Epub 2014 Nov 17. PURPOSE: Pain is a frequent symptom in patients with cancer, with substantial impact. Despite the availability of opioids and updated guidelines from reliable leading societies, undertreatment is still frequent. METHODS: We updated a systematic review published in 2008, which showed that according to the Pain Management Index (PMI), 43.4% of patients with cancer were undertreated. This review included observational and experimental studies reporting negative PMI scores for adults with cancer and pain published from 2007 to 2013 and retrieved through MEDLINE, Embase, and Google Scholar. To detect any temporal trend and identify potential determinants of undertreatment, we compared articles published before and after 2007 with univariable, multivariable, and sensitivity analyses. RESULTS: In the new set of 20 articles published from 2007 to 2013, there was a decrease in undertreatment of approximately 25% (from 43.4 to 31.8%). In the whole sample, the proportion of undertreated patients fell from 2007 to 2013, and an association was confirmed between negative PMI score, economic level, and nonspecific setting for cancer pain. Sensitivity analysis confirmed the robustness of results. CONCLUSION: Analysis of 46 articles published from 1994 to 2013 using the PMI to assess the adequacy of analgesic therapy suggests the quality of pharmacologic pain management has improved. However, approximately one third of patients still do not receive pain medication proportional to their pain intensity.